Skunk2 Oil Cap - Performance Parts Catalog - Bonehead Performance Inc - How Fast Should Look! Performance Parts | Bonehead Performance Inc.
Skunk2 Billet Oil Caps are precision CNC machined to be lightweight. 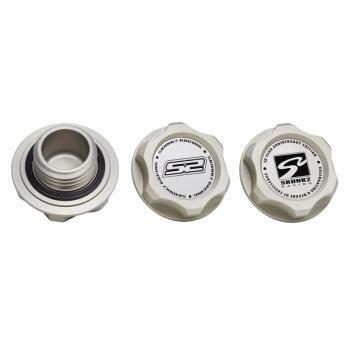 Each oil cap is hard anodized and features a contrasting, acid-etched stainless steel Skunk2 Racing logo or Limited Edition 10th Anniversary stainless steel badge.